This Anthropological Life (TAL) is a professional experiment. 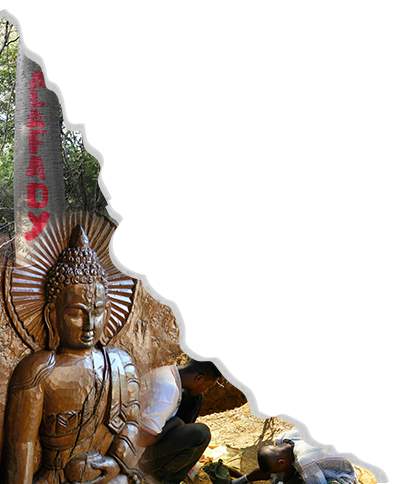 Our aim is to promote anthropological thinking to the public through enjoyable and entertaining conversations. We’ve been making podcast episodes at TAL for over two and a half years, and have produced over 60 episodes, each around 45 minutes. The format is an unscripted, roundtable conversation supported by weekly research. One main goal of TAL is to demonstrate and practice anthropological thinking in a publicly accessible way (with no homework, no jargon, no extra reading). Podcasting provides a natural medium through which to do this because open conversations don’t easily allow for footnotes, extensive quoting, or even hard-to-say sentences. It sounds simple, but as any academic anthropologist knows, trying to explain Bourdieu’s habitus or Marx’s labor theory of value in conversation without confusing your students is a learned skill. However, TAL isn’t intended to explain anthropological theory, nor is it to highlight anthropologists and their work. Rather, we use podcasting to break down anthropological research into an easily digestible format promoting holistic thinking. We see TAL as somewhere between academia, design anthropology, public anthropology, and entertainment. Since podcasting is not (yet) an accepted academic format like a thesis or peer-reviewed journal it hovers on the fringes of academia. Its roots as a form of alternative, democratic radio production put it for many in the entertainment/news/informally-learn-something-new camp. Couched between these two forms we saw an opportunity to raise public consciousness about anthropology. In 2013 podcasts were a relatively new medium and applied anthropological communities like the National Association of Practicing Anthropology (NAPA) and Ethnographic Praxis in Industry Conference (EPIC) hadn’t gained huge traction in anthropological worlds (I’m glad to see this changing). Podcasting is a great medium for sharing knowledge that follows on the heels of classic radio, the move towards more audiobook consumption by the general public, and the need to stop privileging the visual for information consumption. As someone who struggles with reading, this last point is particularly important to me. Podcasting isn’t so much a genre as a serialized digital production that listeners subscribe to. It provides a relatively new medium for framing anthropological storytelling but using the same ethnographic toolkit. If ethnography functions by helping us enter the lives and logics of others (or ourselves), there is no need for the medium to be textual, nor even visual. Moving from the visual to the oral/aural changes the dynamic. A conversation (with notes) forces simplified language and requires active listening as well as having some ideas ready to discuss, but with enough flexibility to adapt to the whims of the conversation. Kind of like doing fieldwork. 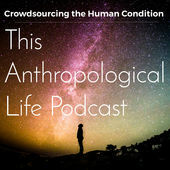 Given these diverse formats, how might it work to use podcasting for anthropology? Why do so? We’ve chosen an open conversational format at TAL, for several reasons. First, good ethnography holds space for complex and multiple narrative threads without having to necessarily find consensus. Conversational podcasting can accomplish this too, whether literally incorporating multiple voice recordings or reading other people’s voices aloud. Unlike scripted podcasts, like This American Life, we don’t premise our episodes around the “ah-ha” or twist moment, where it all comes together. 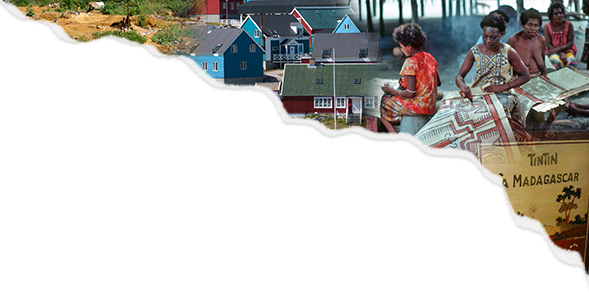 Like crafting ethnography, we have a choice in how to narrate and format stories. We also format TAL as an open conversation for a practical reason. This isn’t (yet) any of our full-time work, and we produce weekly episodes. We couldn’t produce the amount of quality content involving research, recording, and editing, which we do ourselves, if we made scripted, multi-interviewee episodes. However, we’re aware that this is not the only way to create an anthropological podcast, and there are other excellent iterations out there. The show is also an open conversation for a less obvious reason: we want you to be a part of it. In our quest to popularize anthropological thinking, TAL champions the format where hosts and guests are equals. We have been experimenting with this to give our audience a sense of trust in us as anthropologists, a roster of varied and high quality guests, and the idea that anthropology can be used in a practical way to help make sense of the world. As engaging as expert interviews can be, they don’t feel terribly democratic. When recording the show live in the WBRS radio studio, we have experimented with call or write-ins, transforming listeners into participants. As anthropological designers we challenge ourselves to talk across many topics, as well as to stretch and apply anthropological thinking wherever the conversation takes us. Because we are constantly innovating we draw inspiration not only from anthropology but also from our favorite podcasts, such as You Made it Weird with Pete Holmes (Ryan), The Art of Charm (Adam), or Planet Money (Aneil). These span a variety of formats and leave us with an educational take-away, but in a quirky or memorable way. Anthropology podcasting has no standard model, so we are mapping uncharted territory. Because we are between fieldwork, teaching, consulting, and thinking about jobs after grad-school, the conversation inevitably moves between using anthropological thinking to explore a topic (see Beer, Quinoa, The Beautiful Game, The Power of Vulnerability) to anthropology as the topic (see Applied, Public, and Design Anthropology, Why do we do what we do?, Return of the Ethnographers). And that’s OK. We are, in some ways, following what anthropology as a discipline has been doing since the crisis of representation in the 1980s. We are concerned with both what anthropology does and what it is because this is an iterative process too.